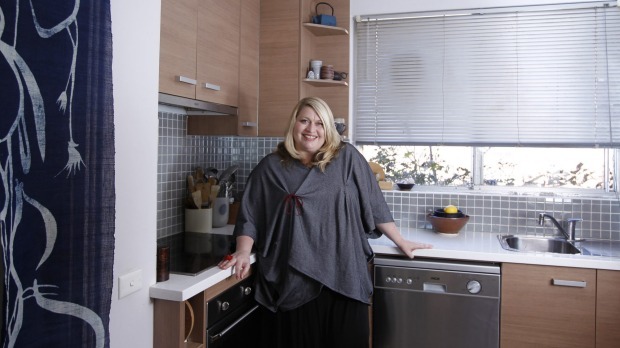 Chef turned food writer Jane Lawson has published some of Australia's top chef's tomes – Peter Gilmore and Darren Purchese among them – and is an internationally successful cookbook author in her own right. She's written a new cookbook, Milkbar Memories, coming out in May, and hosts Zenbu Tours, food and cultural trips in her beloved Kyoto. Having lived there part-time for many years, it's her insider's view that sets her itineraries apart. My pantry The best quality Japanese soy, mirin, rice vinegar, dashi and sesame oil I can get my hands on – essential for Japanese cuisine, which I cook 60 per cent of the time. And Kewpie mayonnaise – non-essential but my partner is addicted to it and squeezes it over everything. Carwari​ sesame paste for cheating with Japanese sauces when I'm too busy to grind the seeds myself. My fridge I get twitchy if there's no saikyo miso (sweet, white, Kyoto-style fermented bean paste) in the fridge or freezer. I throw it into everything, from soups and stews to salad dressings to ice-cream. I also keep decent drinking sake in the fridge for cooking, too. I buy most of my meat from Feather and Bone – all their gear is local and excellent quality including eggs. I keep a variety of nuts and shaved coconut in the freezer for baking. Edamame are generally in the freezer for a healthy bar snack. I do love my cheese, too, so there's always a decent selection, from parmigiano reggiano to creamy Saint-Andre brie. Miso-marinated roast pork fillet, roast pumpkin with sesame dressing, dashi-simmered chat potatoes, green salad with Japanese-style quick pickled cucumber. Mini apple, ginger and almond-pecan crumbles. I get my roasting and baking fix when I'm in Sydney, as most Japanese kitchens don't have ovens. I'm quite obsessed with ice-cream - rich and silky please, with added textures to suit my mood and tastes. I'm not faithful to any specific flavour or brand – it just has to be good. And if it has some form of caramel, chocolate or nut it will likely get my attention over something fruity ... unless it's real, fragrant mango or peach. I'm currently giving the Nespresso​ machine a good nudge. I'll usually go for a flat white or cappuccino in the morning but will occasionally shoot a quick espresso when I want a caffeine hit. I love Ivyhome unhomogenised Jersey milk in the glass bottle because it tastes like milk we drank as kids and makes excellent milkshakes. I often end up swaying towards an elegant chardonnay. When I'm in Japan I mainly drink local sake and umeshu​ – plum wine. After a hearty dinner on a winter's night I'm pretty happy if I'm holding a glass of Japanese whisky in my hand – I switch between Suntory's single malt Yamazaki​ or Hakushu​, or high-class blended Hibiki​ – a habit I picked up in Kyoto, where it's a lot cheaper to drink it. I take it with a small rock of ice. I love my Japanese grater and its little cleaning brush. I can't live without my suribachi​ collection – Japanese mortars and pestles. They have ridges to catch small things so they don't spin around, making the grinding process so much quicker. I have a strange fondness for my cherry-tree tea canister which keeps my salt fresh. I've collected quite a bit of Japanese serving ware over the years – antique and contemporary ceramic and lacquerware. Every morning I have my coffee in one of several cups handmade by Japanese artisans. It makes me less homesick for Kyoto to sip from them. Two small jugs once owned by my nana. Japan never fails to inspire me on a culinary level. The entire Japanese population seems to be as obsessed with food as I am. Food is the true international language – a great way to communicate with foreigners the world over. A friend from Tassie started Pagan Cider and I am completely addicted to it – particularly "Cerise", made from cherries and apples. You can really taste the fruit in all their gear. I've had more amazing meals in my life than I deserve to have had. If pushed, I will say my most recent unforgettable meal was my mum's 70th birthday at Quay. There were just five of us and Mum said it was the best meal and night of her life – which made me cry. We were so very well looked after – the food, wine and service were absolutely first-class. There were fireworks at the Opera House, we had a table by the window and everything was perfect for Mum's special day. When cooking with sake, like other wine, avoid the cheap stuff because its flavour carries through the dish.